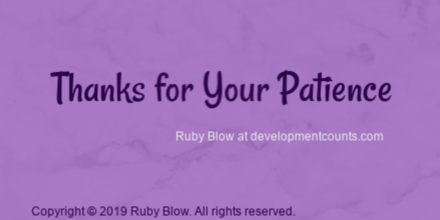 Learn to be present with therapy clients and facilitate an intentional dynamic wherein the therapy client works on their emotional, relational, cognitive, behavioral, social/cultural and spiritual well-being. Adopt a professional counseling identity. 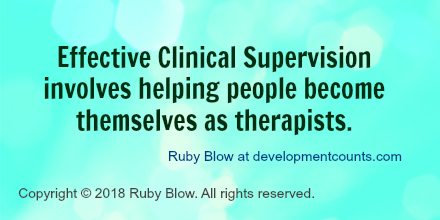 Develop individualized approaches to being a therapist/mental health professional. Learn to navigate ethical considerations. Appreciate the depth and breadth of the fund of knowledge that counselors must cultivate. Adopt healthy, empathic, multicultural perspectives. Develop values around continuous professional development. The ability to put “fairness” in favor of their supervisee and their supervisee’s clients ahead of themselves. A willingness to take responsibility for the development of the supervisory relationship. An ability to function on the “meta” level (thinking about one’s thinking) in their role as therapist and supervisor respectively, in order to identify their own patterns and supervisee’s patterns of learning, feeling and behavior. The ability to delay one’s own need to demonstrate one’s skills and knowledge in order to advance someone else’s independent thinking. A consciousness to notice and focus on what supervisees do well and not only on what they aren’t doing well. An ability to give quality evaluative feedback. The self confidence and professional confidence to not be threatened by supervisees who are more knowledgeable or skilled than themselves. 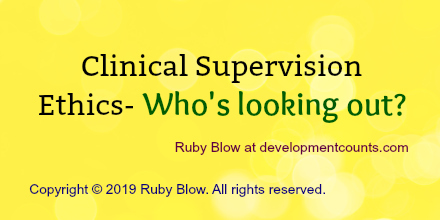 The ability to determine what types of supervisory interventions and feedback are appropriate at different stages of the supervisory relationship; with considerations for the supervisee’s stage of development. To achieve this complex array of qualities, practices and characteristics, supervisors need more than continuing education. Education is simply a foundation. 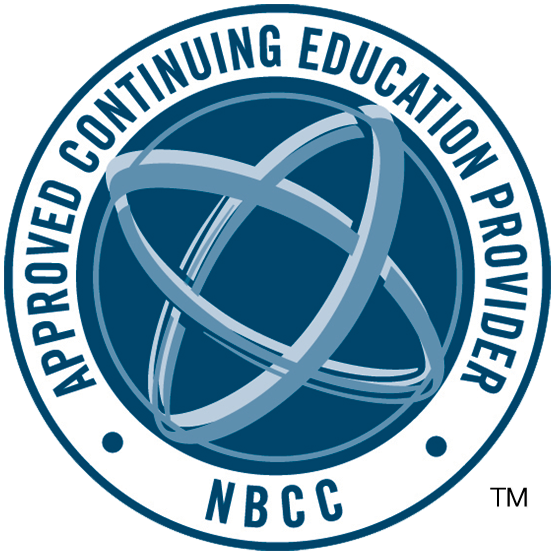 Continuing education or even graduate education in supervision is not enough. 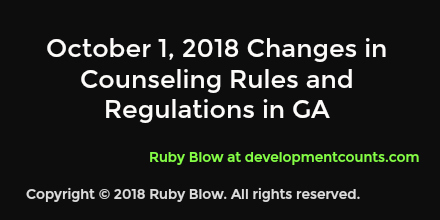 As states continue to improve or increase qualifications to obtain counseling licensure, supervision is also part of that discussion. 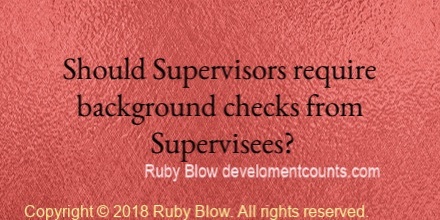 Consultation or supervision of supervision is an important step or next step in supervisor development. Where people have power there are abuses of power. The foundation to being an effective supervisor begins with the admission and self awareness of our own power and authority issues. Consultation and/or supervision of supervision can provide an environment for supervisors to receive feedback. It can provide a place for supervisors to discuss their conflicted feelings about supervisees as they arise. It is vital that supervisors separate their personal and professional impressions of their supervisees. Our personal impressions hold some value. But only to the degree that they are checked by our own biases and issues. This is where a peer supervisor or mentor supervisor/consultant can help.